Wondering where the end of Mazinger Z is? Biting your nails waiting for the last Getter Robo chapters? Getter Robo Volume 2 Special Chapter - Go For It, Musashi!! And with that, two classic manga series are completed! Big thanks to Starseeker, Lunasaint and Damage. Joining me on this Mazinger volume is a new editing recruit, Phangry. Thanks! Now, Dynamic Pro Scanlations looks onwards to new horizons. So, what's on our plate now? 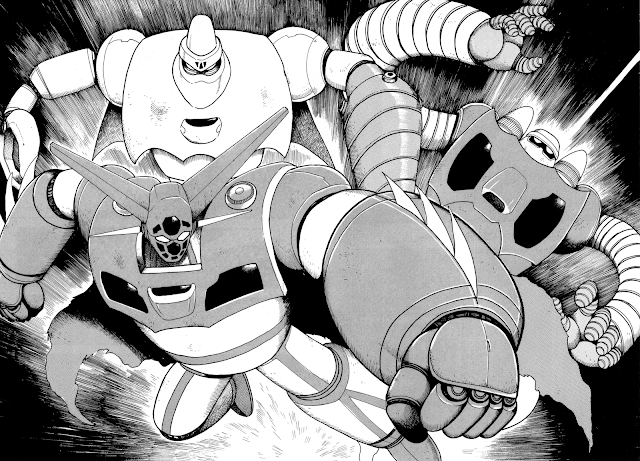 Namely, Getter Robo G and Great Mazinger. Joining me on Getter Robo G is our paid translator, Damage. And graciously translating Great Mazinger is Starseeker and Lunasaint. Scanning for Getter Robo G will start soon. Also, the Saga version of Shin Getter Robo is progressing smoothly (new chapters/sections are translated, two chapters are completed, resuming scanning soon). But that release will be much later, as I work on that intermittently between my other projects (Free time? What the hell is that!?). Go and thank Starseeker & Lunasaint! And be sure to check out their other projects! !